Thermoactive underwear is undoubtedly one of the most important elements of men's winter clothing. Especially if it is a person who leads an active lifestyle. During winter sports (eg skiing) or other sports that can be successfully performed outdoors regardless of the weather conditions prevailing outside (eg cycling, running), it is extremely important to properly protect sensitive parts of the body. For this purpose, thermoactive underwear was created - sets usually consisting of a long-sleeved shirt and trousers with long legs. Thermoactive underwear was made of the highest quality material. It is a light, soft and delicate to the touch fleece. Thanks to the additional effect in the form of a special mesh. Thanks to this, thermoactive mesh underwear has extremely important properties. 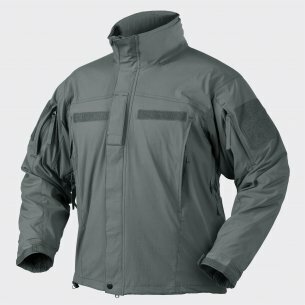 Provides insulation and protection against low temperatures. Permeability from the inside makes the skin breathe freely. The interior of thermoactive underwear brand Helikon tex has a unique weave (so-called paw), causes that the warm air is accumulated. Thanks to this, it is stopped at the body. Specially constructed intricate channels cause that moisture is discharged to the outside. Thanks to this, men's thermoactive underwear protects the most sensitive parts of the body. It can be used equally every day, especially on cold days. It is recommended especially for a ski suit or a hiking outfit in the mountains. In addition, it protects the body during outdoor exercise. Thanks to this, even the negative temperature does not prevent you from undertaking physical activity. Body-tight thermoactive underwear - the set makes it possible to put it under a loose tracksuit, denim pants plus a shirt, and even under an elegant suit. Thanks to this, it is a universal element of a men's outfit for various occasions. Discreetly hidden under the rest of the outfit provides comfort, and at the same time does not allow anyone to guess what the bottom layer is. For many men this is a very important reason. The conviction to wear pants today is an extraordinary challenge. The flesh-colored colors can convince even the most stubborn ones that it is extremely important to care for your health. Thermoactive underwear Helixon tex allows you to protect yourself from frost. The set of thermoactive underwear brand Helikon tex consists of two tight-fitting elements - long-sleeved shirts, as well as trousers - underpants. The material adhering to the skin creates a protective layer that prevents the cold inside. At the same time, the skin can breathe freely and the moisture is taken out. 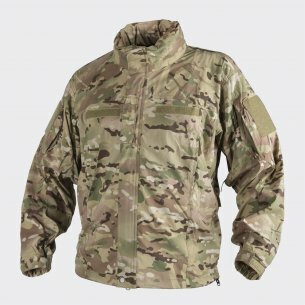 One of the favors of thermoactive underwear is the US army uniforms system (so-called Generation III Extended Cold Weather Clothing System, abbreviated as GEN III ECWCS). The company Helikon tex used this patent and propagated the style so that it could be used by everyone. A wide range of sizes - from S to XXL - makes it possible for every man to find the right set, regardless of the type of figure. Thermoactive underwear set allows for comprehensive, extremely accurate protection of sensitive parts of the male body. Matching color sweatshirt and pants are also ideal for lovers of military style. 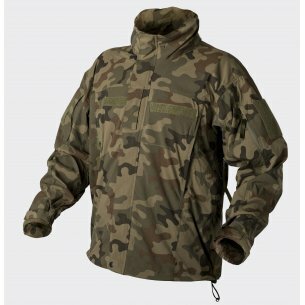 The Helikon tex brand is a reputable producer of high quality underwear, but also other elements of winter clothing (including jackets, pants, as well as accessories in the form of hats, scarves, chimneys and gloves). Thermoactive helikon tex is available for every wallet. The price is extremely attractive compared to high quality, it is an element encouraging you to buy a set. Thermoactive underwear - the set saves money due to the purchase of two parts of the outfit at a reduced price in relation to individual purchases. 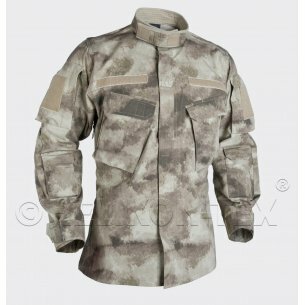 One of the distributors of sets of thermoactive underwear for men is, inter alia, a military store. The reference to the style, which is used as one of the key elements of uniforms in the US Army, makes fans of the military style find the right proposition for themselves. The color of thermoactive underwear is toned down. The most common types available in the store are masking, uniform colors (black, olive, brown, gray), which are ideal for men who like minimalism.